The firm that became Warre’s was established in 1670. Two Englishmen, William Burgoyne and John Jackson opened offices in northern Portugal as Burgoyne & Jackson - initially a general trading company, exporting wines, olive oil and fruit, as well as importing dried cod and English woollen goods. 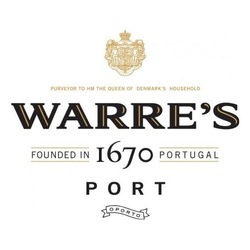 Over time, the company admitted new partners and its name changed accordingly; in 1718 it traded as John Clark, then in 1723 it was known as Clark & Thornton and finally in 1729, it became Messrs. Clark, Thornton & Warre, with the arrival of the first Warre in Portugal. This was William Warre, born in India (1706), where his parents and grandparents were long established members of the East India Company.